Jules Hoüel attended the Lycée at Caen and then the Collège Rollin. In 1843 he entered the École Normale Supérieure and, after graduating, he taught at Bourges, Bordeaux, Pau, Alençon and Caen. 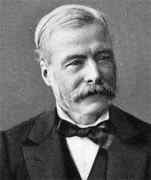 He obtained a doctorate from the Sorbonne in 1855 for research in celestial mechanics. Le Verrier was impressed with Hoüel's work and tried to persuade him to accept a post at the Observatory in Paris. However, Hoüel decided not to accept the offer and spent the next four years undertaking research at his home in Thaon. Here he found dignity and facilities for work, and considered the position as final. Since long, the scientific researches of mathematicians on the fundamental principles of elementary geometry have concentrated themselves almost exclusively on the theory of parallels, and if, hitherto, the efforts of so many eminent minds have produced no satisfactory result, it is perhaps permitted to conclude thence that in pursuing these researches they have followed a false path and attacked an insoluble problem, of which the importance has been exaggerated in consequence of inexact ideas on the nature and origin of the primordial truths of the science of space. ... Hoüel's 'Essai' of 1863 having come by chance into the hands of a young architect of Temesvár in Hungary, this youth Franz Schmidt, desirous of continuing his mathematical studies wrote for counsel to Hoüel. Hoüel had answered helpfully, and later implored the aid of Schmidt to procure Bolyai's work ... Schmidt succeeded in procuring for Hoüel two copies of Bolyai's work. One Hoüel proceeded to translate himself, the other he sent to Battaglini, asking him to make known in Italy this wonderful idea. At Hoüel's suggestion Schmidt collected material which enabled him to write the first biography of Bolyai which he did in 1868. Among his other researches, Hoüel compiled log tables and worked on planetary perturbations.